Kindness Day is about the little gestures of being kind too. Helping others can restore a sense of humanity. Not to mention giving you that warm fuzzy glow inside. Kindness Day was born when a collection of humanitarian groups came together on November 13, 1997 and made a “Declaration of Kindness”. Likewise, today everyone is encouraged to make a similar declaration. Donating books, food or clothes to your local community is a great way to celebrate. However, pledging to commit just one act of being kind is no less worthwhile. Make sure to perform an act of kindness to anybody, family friend or stranger. Hold the door open for a stranger or compliment your neighbor on their collection of garden gnomes. 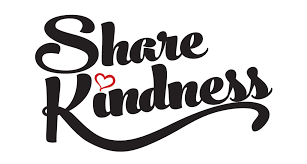 Whichever way you decide to celebrate remember that the best thing about Kindness Day is that it doesn’t cost a thing!